Standing high atop the North American Plate the eye is drawn to the gorge below and the forest that lies on the San Andreas Fault. Across the valley, the Pacific Plate comes into view. The hustle and bustle of Silicon Valley is visible down on the valley floor. A seemingly endless stream of cars moves through the freeways like ants; industrious, but also totally silent. We are in the Santa Cruz Mountains, one of the most unique wine producing regions anywhere in the world. Mountain viticulture is a often struggle. The elements can pose serious challenges, which means, among other things, that vineyards naturally tend to produce small crops. But that is also part of the attraction. The best mountain sites also yield wines of extraordinary complexity and pedigree. Here, in these rugged hillsides, readers will find world-class Chardonnays, Pinot Noirs and Cabernet Sauvignon-based reds. Santa Cruz Mountains Chardonnays tend to be phenolic, structured and surprisingly age worthy by California standards. Pinot Noir takes on multiple shades of expression; from supple, fruit driven wines to more aromatic, Burgundian-inflected styles. Bordeaux varieties also thrive, especially on the warmer North American Plate, which is further away from the ocean and therefore slightly warmer than the Pacific Plate. Cabernet Sauvignon and Cabernet-based blends reign supreme, while other Bordeaux grapes are most often successful as blenders rather than on their own. The majority of this year’s new releases are 2012s and 2013s. Both vintages offer high quality, although quantity is another issue, especially in 2013, when poor weather during flowering lowered yields for some estates. Because vintage conditions vary so much from property to property, this year I have chosen to place details about weather and growing conditions and their effects on quality within the individual producer profiles. In recent years, the Santa Cruz Mountains and its unique patchwork of world-class sites has begun to attract the attention of producers outside the area, including Duncan Arnot and Nathan Roberts, John Raytek at Ceritas and Pax Mahle at Wind Gap, all of whom are making superb wines. Because those producers are based in Sonoma, I usually taste their wines earlier in the year. 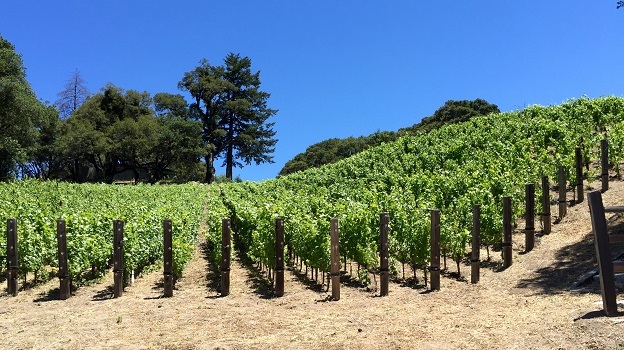 For ease of reference, readers can use the link below to see all Santa Cruz Mountains reviews that have appeared in Vinous in 2015. For more context on the Santa Cruz Mountains and its geography readers might enjoy revisiting some of the articles below.